Kids biking to school in Illinois. Photo courtesy of Safe Routes to School National Partnership. This week, 12 Democratic Senators introduced a bill to maintain current funding for Safe Routes to School at $183 million and keep it as a standalone program. It’s also telling that the Partnership couldn’t get a single Republican co-sponsor on the bill. Last time around, they had three. But this time, with everything getting cut, GOP lawmakers were reluctant to “play favorites” and recommend one program for sustained funding. And with the reauthorization process well underway, the Partnership didn’t want to wait any longer to try to attract GOP sponsors. They moved the bill forward with Sens. Tom Harkin (D-IA), Bernie Sanders (I-VT) and Jeff Merkley (D-OR) taking the lead. Safe Routes to School pulls communities together to identify trouble spots that prevent parents from feeling safe letting their kids walk or bike to school. Sometimes it means building or widening a sidewalk. Sometimes parents create “walking school buses,” where an adult accompanies a whole gaggle of kids on their walk. Sometimes it means raising crosswalks or calming traffic or installing flashing School Zone signs. In communities where crime or harassment is the biggest deterrent, SRTS works with police to address personal safety. 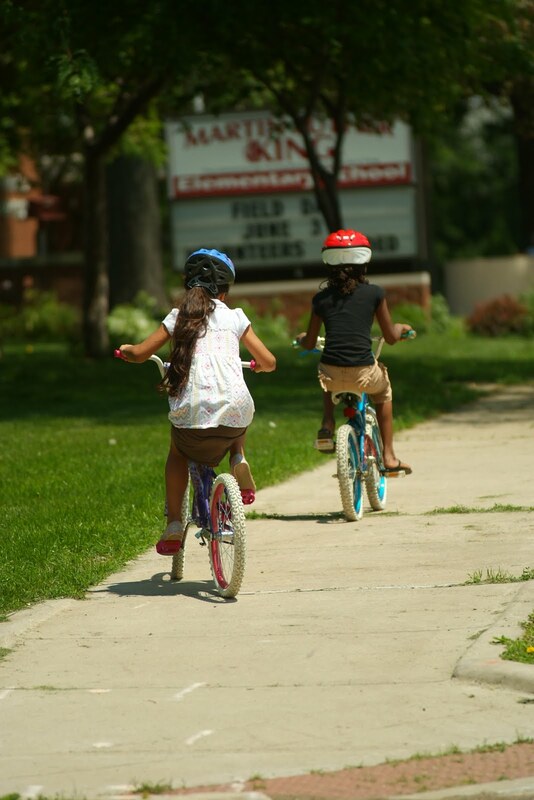 Photo courtesy of Safe Routes to School National Partnership. In the last Congress, the bill would have simply expanded eligibility to include high schools without limitations. One inclusion in the bill that’s sure to please many Republicans who have been looking to trim spending and reduce project delays is a provision to address “regulatory burden.” Indeed, Pedroso says, despite the categorical exclusion for bike and pedestrian projects from the mandate for environmental review, many times SRTS projects had to go through many bureaucratic hurdles for even the smallest of projects. The bill is technically a proposal to amend SAFETEA-LU, but since SAFETEA-LU is at the end of its life span, it will be considered as part of the reauthorization debate for the whole surface transportation program. It’s been referred to the Environment and Public Works Committee. 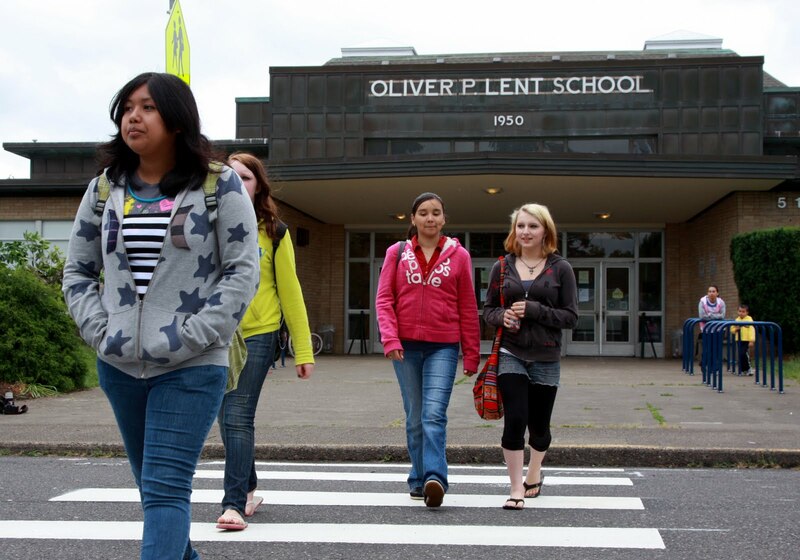 Walking or biking to school is a gateway habit, which leads kids to become dependent on government handouts in the form of expensive and unnecessary sidewalks and bike paths. Their irresponsible parents take away American jobs by not using cars to get them to school, and they eventually grow up to be thin and active, threatening prosperity and the American way of life through self-ambulation. Don’t let this happen to our kids. Just FYI, Bernie Sanders is not a Democrat. Hey I came here to say that too! He caucuses with the Democrats but is an Independent. In the past he has identified himself as a (gasp) Socialist!! LOL! Of course if the cars came from Detroit and the Oil from Texas, you’d be dead on. But the cars and the oil don’t anymore.